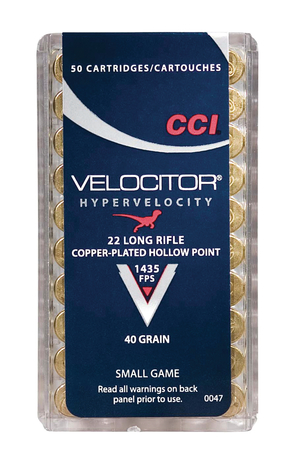 Special HP cavity design derived from Speer Gold Dot technology retains virtually 100 percent bullet weight. Clean-burning propellants keep actions cleaner. Sure-fire CCI priming. Reusable plastic box with dispenser lid. Muzzle velocity 1435 feet per second.